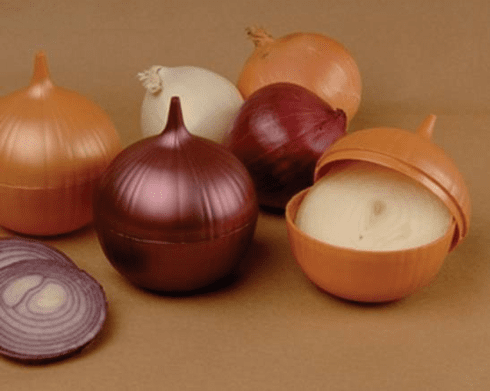 The Onion Saver by Hutzler is a unique little product made for storing your cut onions. It's onion shaped design will store all but the largest onion. It will keep your onion fresh while keeping the onion odor out of your refrigerator.